Finally this year, I earned my keep at the International Medieval Congress at Kalamazoo, MI by presenting a paper. For as long as some folks remember, there have been slews of sessions on J R R Tolkien, and a resounding silence on C S Lewis. This seems passing odd, given that Lewis contributed more to the field of medieval studies than did Tolkien. My theory for the many Tolkien sessions is that so many medievalists first got into their field under the influence of the grand master of fantasy. In any case, two sessions of three papers each were presented at Kalamazoo 2011 on the subject of Lewis’s and the “Discarded Image” (the medievals’ worldview as he presented it to his Cambridge students, published posthumously in the the book of the same name). Here is my contribution to the second of those sessions. As always, reproduction of all or any part of the following without prior written consent by me is strictly prohibited. Two words in my title require some explanation. “Medievalism” is the easier of the two, I take it to denote the ways people since the Middle Ages have appropriated, reframed, and selectively highlighted medieval culture, to fit their own questions and agendas. Lewis was, professionally, a professor of literature, and he spent much time reading, teaching, and producing scholarly works on the Middle Ages, both its literature and its culture. And of course we needn’t go far in the work of Lewis, or of such of his modern friends as Tolkien, Williams, and Sayers, to find that the varied versions of “the medieval” plied by these authors were full of distinctly modern, or more accurately, anti-modern, concerns. The other key term in my title, “intituitive,” requires more explanation. It is one thing to say that as a professor, so-and-so taught the Middle Ages. It is quite another to say that his or her medievalism was “intuitive” in the senses I’m about to suggest. For this reason, I won’t spend a lot of time in this paper rehearsing Lewis’s professional credentials or scholarly career. Such a rehearsal wouldn’t, in and of itself, prove my point. So what might it mean to say that Lewis is an intuitive medievalist? One possible meaning of this phrase would be that Lewis loved the medieval from an early age. This, I think, can be demonstrated easily—for example at 18, he wrote to Arthur Greeves, “When I was reading [Beowulf] I tried to imagine myself as an old Saxon thane sitting in my hall of a winter’s night, with the wolves & storm outside and the old fellow singing his story. In this way you get the atmosphere of terror that runs through it—the horror of the old barbarous days when the land was all forests and when you thought that a demon might come to your house any night & carry you off. The description of Grendel stalking up from his ‘fen and fastness’ thrilled me.” (Letters, 143; Nov 1st, 1916). We’ll come back to this point about Lewis’s formation in a moment. One might also argue for an “intuitiveness” in Lewis’s medievalism by showing its ubiquitous presence in his writings, or showing that it conditioned almost every part of his thought and life. I think these things are true too, though there is not enough space in a brief paper to make either of these cases (and it is the nature of such arguments that we’re never sure how much evidence is enough to prove them). I suspect the other papers in these sessions and future sessions in this track, along with our discussion, will help to move us toward a sense of this meaning of “intuitiveness” related to Lewis’s medievalism. A whole different aspect of this topic, by the way, is the degree to which romanticism nurtured Lewis’s intuitive medievalism. One thinks of his interest in William Morris, for example. But space doesn’t allow us to examine that here. So on we go. Now, just one more run at this term “intuitive.” One day early in his Oxford career, while lunching with fellow don Owen Barfield and a student named Griffiths, Lewis happened to refer to philosophy as a “subject.” Right away, Barfield snapped back, “‘It wasn’t a subject to Plato. It was a way.’” And Lewis had to admit that Barfield was right: the pagan philosophers’ contemplative quest was anything but coldly intellectual. Intellectual, yes. But characterized by desire, yearning, even passion—a passion for meaning; a passion to see God. Lewis’s medievalism was just like this. It was never an inert object of study—a “subject.” It was a “way”—a road travelled to get to meaning. In one of Lewis’s favorite images, he set out to “look along the sunbeam” of the medieval mind, to see what it illumined, rather than to look at the sunbeam and see nothing but the dust motes floating in it. To use Lewis’s technical terms for this difference, he enjoyed medieval values for the ways they helped him see the world, rather than contemplating them as objects in and of themselves. This involves one final dimension of Lewis’s intuitive medievalism: I think that medievalism was not only important for Lewis as a source of understanding of the truth of things, but also that it was, for him, a primary way that his “chest”—the seat of his affections and thus his moral reasoning—received its formation. Thus he was medieval not only in his mind, but also in his heart. This we see not only in his youthful encounters with sehnsucht while reading medieval Norse myths, or in his abiding affection for the poetic vision of Dante, but also in his love for the way medieval people viewed the world and their place in it. As he said in The Discarded Image: “I have made no serious effort to hide the fact that the old Model delights me as I believe it delighted our ancestors. Few constructions of the imagination seem to me to have combined splendour, sobriety, and coherence in the same degree” (DI, 216). On, then, to Lewis’s formative years. The first observation to make about Lewis’s formation may seem so obvious as to be trivial, but it bears repeating when looking at the depth and thoroughness of Lewis’s medievalism. From his earliest years, Lewis found the greatest pleasure in both reading and writing. His father’s house contained many books, which he read avidly, finding in some of them those earliest experiences of sehnsucht, joy. By age eight, he was trying his hand at authorship, writing and illustrating stories with his brother Warnie. Then from 16 to 18, Lewis studied with the former headmaster of an Irish college, William T. Kirkpatrick, who observed that Lewis read more classics than any boy he had taught. His training in the classics under Kirkpatrick prepared Lewis to find in “old books” not only aesthetic pleasures but meaning for living, and in this he was attuned more to the medieval than the modern era, as we’ll see. In The Discarded Image, when he spoke of “the overwhelmingly bookish . . . character of medieval culture.” Books were also Lewis’s native element. That so many of the books he read were ancient or medieval is certainly important to my argument, but that they were books, and that Lewis loved them and sought in them wisdom for living, shows him to be intuitively at one with medievalism. In other words, Lewis came early to that bedrock medieval presupposition: our best authorities for truth are the ancient, written authorities. It is true that as a young man, Lewis turned consciously against this insight, building instead a teetering modern “new look” philosophical edifice. But the respect for tradition was always there in the background, and it didn’t take long to re-emerge, in the oddest of ways. Of course Lewis has set us up. Very soon after this episode, Lewis was “taken in” by many things that were “medieval.” In fact, he found himself on a path that wound up not only in traditional, orthodox Christianity, but also in the Cambridge Chair of Medieval and Renaissance Literature. And one of the chief aspects of Lewis’s movement from idealism, to theism, to Christianity, was his increased sense of the permanent verity and validity of truths and traditions of the past, and the fact that in many ways these older understandings have not been improved upon, especially in the areas of religion and ethics. And this was a medieval insight. Discussing how medieval authors, despite the rarity of books, often presented or repeated things their audience already knew, Lewis said, “One gets the impression that medieval people, like Professor Tolkien’s Hobbits, enjoyed books which told them what they already knew” (DI, 200). Well, we must now ask the question, “What kind of books does Lewis tell us medievals loved?” Perhaps disappointingly, given his proclivities for the genre, L insists that romances were not the most typical, representative medieval form. Rather, even among the poets, it was books systematizing knowledge that formed medievals’ favorite class of reading material: “At his most characteristic,” says Lewis, “medieval man was not a dreamer nor a wanderer. He was an organiser, a codifier, a builder of systems. . . . There was nothing which medieval people liked better, or did better, than sorting out and tidying up” (DI, 200). Lewis accuses the humanists of undertaking “a war against ideas,” and this charge strongly implies that he himself found in scholasticism some worthy intellectual substance. And he names the result of their attack a “new ignorance”–surely indicating the loss not of otiose speculation but of valuable knowledge. Indeed, he offered such a forceful and complete rehabilitation of the scholastics, and such a thorough-going scolding of their enemies, that as Dennis Danielson says, he fell into the trap of “countering caricature with caricature, oversimplification with oversimplification,” as when he used of the humanists such “jeering epithets” as “Philistine” and “obscurantist” (Dennis Danielson, “Intellectual Historian,” in Cambridge Companion to CS Lewis, 50). One suspects that what led Lewis to such incautious polemical overstatement was that he had embraced the medieval not only intellectually but affectively; thus, like a knight defending his lady’s honor, he had leapt to his feet, swinging his keen blade at her enemy with broad strokes both energetic and indiscriminate. In short—we see here a result of L’s intuitive medievalism, in my affective meaning of the term. This affective commitment may well have emerged from the distinctive mode in which Lewis approached history, what Wilhelm Dilthey called nacherleben: “the capacity to apprehend and re-enact a complex of thoughts, feelings, circumstances and characters in such a way that readers [following the writer himself!] may re-live and experience a world from which they would otherwise be quite cut off.” (Danielson, ??). Out of Lewis’s “continuous immersion in historical writings and themes” emerged not just a skillful scholar of the Middle Ages, but also an “experiencer” and a “re-enacter” of that age. He was indeed, as he argued in his Cambridge address, a “specimen”—who identified at the deepest level with the period of his expertise. Well, it is all very well to say that Lewis sympathized in a general way with scholastic theology. But what about the substance of that theology? A good example here is Lewis’s advocacy for natural law. Gilbert Meilaender notes “how deeply Aristotelian are the roots of L’s understanding of morality.” This he bases on L’s understanding of character formation, moral education, the training of the emotions. All of this is captured in the image Lewis uses in his Abolition of Man, of the “chest.” “The head,” he insisted, “rules the belly through the chest.” Or: “Reason disciplines appetite only with the aid of trained emotions” (Gilbert Meilaender, “On Moral Knowledge,” Cambridge Companion to CS Lewis, 124 – 5). Lewis made explicit, of course, that this is an “older” morality: “For the wise men of old . . . the cardinal problem had been how to conform the soul to reality, and the solution had been knowledge, self-discipline, and virtue” (Meilaender, 129). Natural law is of course both a classical and a medieval idea. But since Lewis’s particular formulation of morality is distinctly Christian (he insisted that we need moral training to overcome the distortions of sin), we may take it to be closer to the moral thought of Augustine and Aquinas than to strictly classical morality. Having become convinced of the objective reality of natural law, Lewis set out to teach it to others. Certainly he did this in both The Abolition of Man and Mere Christianity, as well as in other, shorter essays. But he also taught morality by telling stories. This was consistent with his Aristotelian understanding that morality is best communicated by demonstration and imitation. But it also drew from the medieval tradition of didactic fiction. The best and most extended example of this in Lewis’s imaginative writings are his Narnia stories. Though we always knew that Lewis used story to teach morality, we now discover that he did this in a particularly medieval way: by subtly weaving into the stories, as epitomes of various virtues, the planets of the Ptolemaic cosmos, with all their ancient pagan and medieval Christian resonances. This is one of the many ways Lewis followed in his own writings perhaps his true literary master—Dante Alighieri. And this brings us to one more way Lewis’s reflected the “medieval” bookish systematizing—exemplified in both the scholastics and Dante. As they created their compendia of knowledge for their readers, medievals syncretized gleefully. That is, not that they cared little whether the deepest truth of things was to be understood in Christian, Platonic, Stoic, or Pagan terms. Christianity always provided the framework for truth. But that within that framework, one might fit all the best thought of the pagans, as Christian thinkers had been doing ever since Justin Martyr and Clement of Alexandria. To take one of many examples, modern science emerged out of the medieval encounter between Christian theology and the thought of Aristotle. Lewis, too, always felt more affinity to a thoroughgoing pagan person, pursuing virtue by Pagan lights, than to a godless modern, and he returned again and again throughout his writing life to the wisdom of the ancients. That the Narnia Chronicles turn out, if we believe Michael Ward, to hang on an elaborate secret scaffolding of pagan planetary mythology, or that the Abolition of Man and Mere Christianity ransack Aristotelian virtue ethics and natural law theory for their ethical understanding, or that his favorite of his own novels, Till We Have Faces, was a reworked Pagan myth—L saw none of this as contradicting his Christianity. Like medievals from Boethius to the Beowulf author to Dante, L was a syncretist in the medieval mold. Since time is short, I will end with one more point, though it is a meaty one. As I have argued, Lewis’s was not simply an intellectual medievalism. 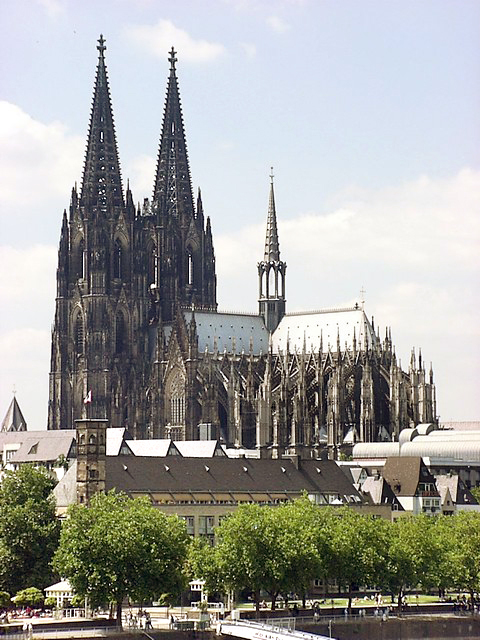 And one of the places where his medievalism touched his heart most deeply was in his Christian conversion and subsequent devotional practice. Significantly, in his apologetic writings, Lewis frames both his own movement toward faith and the usual human process of conversion as an Augustinian quest of desire. Augustine’s dictum “Our hearts are restless until they rest in thee” and his cry, in the Confessions, “Inebriate me, O God!” arose from a Christianization of a classical philosophy called eudaemonism (from the Greek word for happiness, eudaimonia). Classical philosophers had asked, “What makes man truly happy?” Early and medieval Christian eudaemonists answered out of the ubiquitous scriptural language of reward: We are happy when God fulfills his promises and our desires by giving us his loving presence. According to Augustine, the key to happiness is to want the one right thing, which is God himself. Lyle Dorsett says that “Thanks to Adams, Lewis learned to love liturgy, the 1662 Prayer Book, the Daily Office, and praying through the Psalter each month.” Adams “helped Lewis learn that the Eucharist is more than a memorial and symbol,” until he found himself able to “experience Real Presence in the Blessed Sacrament.” Beyond this, Lewis in his later years used the church calendar to identify with Christ and embraced such catholic traditions as the sacramental view of marriage and the veneration of the cross in Good Friday services. Lewis’s personal copy of the Theologia, which addresses the struggle in the believer between God’s will and self-will, bears frequent annotations. In his own works, Lewis cites the Theologia on the proper relation between Christianity and secular learning (along with Augustine, Aquinas, and Milton). The Problem of Pain also quotes twice from the Theologia, and the portrayal of Ransom in Perelandra as the “piebald man,” burned by the sun on one side of his body and pallid white on the other because of his journey to Venus, which reflects the inner struggle of natural self and spiritual self, can perhaps be traced to “the conflict between what the Theologia Germanica calls ‘God-hood’ and ‘I-hood’” (David Downing, Into the Region of Awe (Downer’s Grove: IVP, 2005), 92). 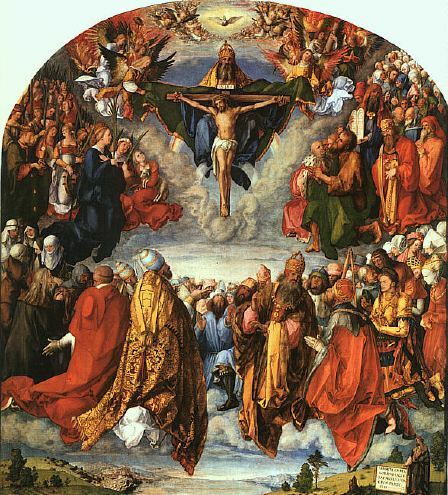 Lewis also deeply appreciated the mysticism of such medieval saints as Bernard of Clairvaux and Francis of Assisi. 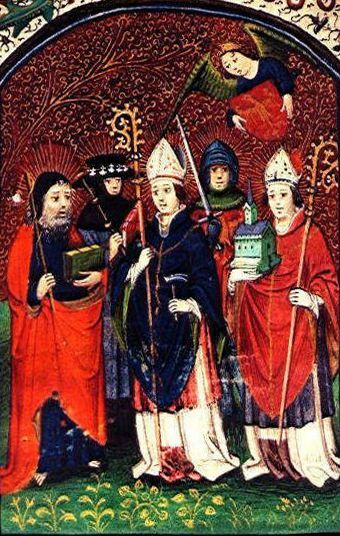 He referred to the Cistercian as “one of the ‘great spiritual writers’ of the Middle Ages.” In Lewis’s Allegory of Love, he cited Gilson’s La Theologie Mystique de St. Bernard, and in his essay “Transposition,” “Bernard’s celebration of the soul’s spiritual marriage with Christ called forth . . . the defense of the need to take metaphors from everyday life to describe the nuances of spiritual experience.” (71) Lewis’s copies of Gilson’s book and Bruno S. James’s biography of Bernard are both carefully annotated. Also well-known is Lewis’s appreciation for the doctrine of purgatory. In Letters to Malcolm he wrote, ‘I believe in Purgatory,’ though he qualified this by agreeing that the Reformers had been right to oppose “’the Romish doctrine concerning Purgatory’ as [it] had then become.” He loved instead the portrayal of purgatory found in Newman’s poem The Dream of Gerontius, in which “the saved soul, at the very foot of the throne, begs to be taken away and cleansed. It cannot bear for a moment longer ‘with its  darkness to affront that light.’” To Sister Penelope he once wrote, “look me up in Purgatory.” (Dorsett, 98-99; CSL, Letters to Malcolm, 139 – 40. CSL to Sister Penelope, September 17, 1963, in W[arren] H L[ewis], Letters , 307.) Lewis clearly absorbed much of medieval western practice in his own devotional life, drawing the line only at such Catholic practices as saying the “Hail Mary” and praying the rosary. Without too much exaggeration, we can say that this struggle with pride and self-will is the taproot of the monastic tradition. So it should not surprise us that “[t]he next month he wrote to Owen Barfield in a tone of humorous panic: ‘Terrible things are happening to me. The “Spirit” or “Real I” [note the similarity to the ascetical language of the Theologia Germanica] is showing an alarming tendency to become much more personal and is taking the offensive, and behaving just like God. You’d better come on Monday at the latest or I may have entered a monastery’” (Downing, Reluctant Convert, 146). Though of course he never did this, Lewis the Christian always shared intuitively the ascetic vision of the monastic—as he did so much else from medieval faith. He regularly practiced such ascetic discipliknes as fasting, meditation, and frequent prayer. Now, my last point under this heading of “medieval devotion.” Lewis’s love of concrete and common things: trees, mountains, weather, was sacramentalist: He said “every created thing is, in its degree, an image of God, and the ordinate and faithful appreciation of that thing a clue which, truly followed, will lead back to Him.” (57 in Daigle; Lewis, Commentary on Arthurian Torso by Charles Williams [Oxford: Oxford University Press, 1948], p. 116.) His love of the concrete was both medieval and antimodern, as he lamented the sapping of the medieval spirit from the world, and then from ourselves, resulting in the abolition not only of the spiritual dimensions of the material world, but also of the very spirits of human beings. “We can observe,” he wrote in the preface of another author’s book, “a single one-way progression. At the outset the universe appears packed with will, intelligence, life and positive qualities; every tree is a nymph and every planet a god. Man himself is akin to the gods. The advance of knowledge gradually empties this rich and genial universe: first of its gods, then of its colours, smells, sounds and tastes, finally of solidity itself as solidity was originally imagined. As these items are taken from the world, they are transferred to the subjective side of the account. . . . The Subject becomes gorged, inflated, at the expense of the Object. But the matter does not rest there. The same method which has emptied the world now proceeds to empty ourselves. The masters of the method soon announce that we were just as mistaken . . . when we attributed ‘souls’, or ‘selves’ or minds’ to human organisms, as when we attributed Dryads to the trees” (“Preface” to The Hierarchy of Heaven and Earth: A New Diagram of Man in the Universe by D. E. Harding [New York, 1952], p. 9). 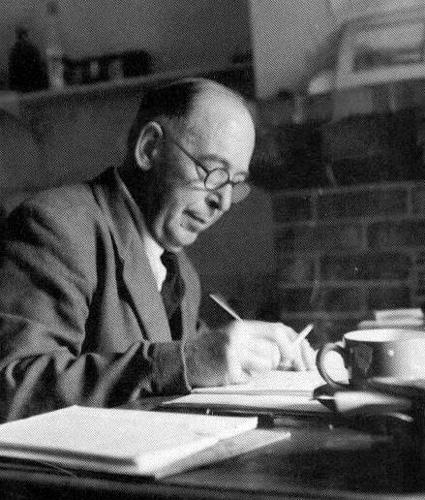 Life as a “dinosaur” or “specimen”—the labels he used for himself in his Cambridge address—cannot have been easy for C S Lewis. This entry was posted in Medieval Wisdom for Modern Protestants and tagged C S Lewis, International Medieval Congress, J R R Tolkien, medievalism, Middle Ages, Owen Barfield, William Morris. Bookmark the permalink. Thanks for this article. Great insight in Lewis’ thought!